OralPeace made with the major ingredients of patented Neonisin-e®*, originated from natural and edible raw materials. It is an edible and highly safe oral care product. ー Winner of the Minister of Economy, Trade and Industry Award. Oral Care product Made In Japan. 100% natural, alcohol free. Hypoallergenic and safe-to-swallow, recommended especially for elderly, infants, persons with disabilities, and for those looking for safe & environmental friendly oral care. Good for cleaning and moisturizing, effective against all kinds of oral bacteria. ORAL PEACE creates jobs for persons with disabilities. It contains a lactobacillus peptide preparation, “Neonisin-e®*,” which attacks the causative bacteria of oral cavity problems. 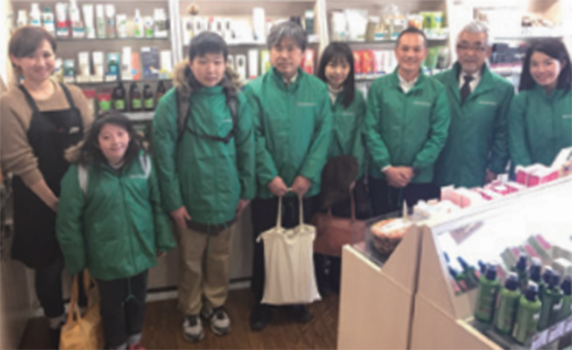 It was developed based on industry-university cooperation between Kyushu University, Kagoshima University, National Center for Geriatrics and Gerontology, etc. and biotechnology techniques of Japanese origin are employed. This oral care product was prepared only using natural-derived food material and is degraded and digested in the body. 3. Covered by various media including TV news, newspapers, etc. 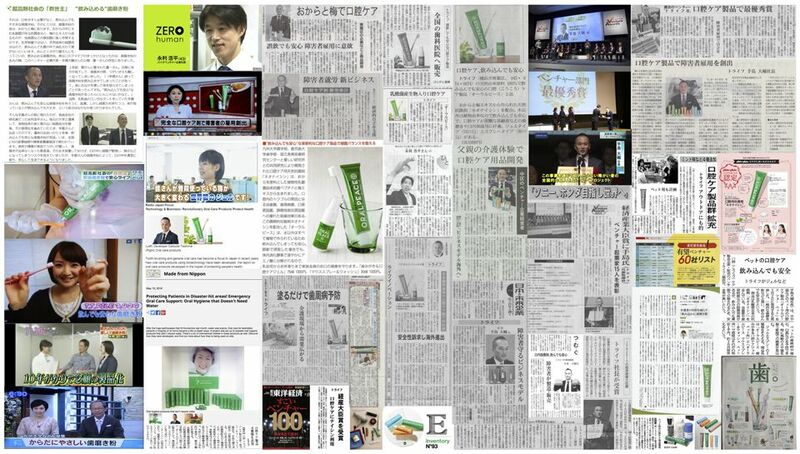 Four hundred thousand (400,000) pieces of ORALPEACE (as of 2018) have been released and enjoyed by Japanese people at hospitals, dental clinics, select shops, welfare institutions nationwide, and are appreciated in the world and used by people in overseas countries, including Asian, European and Central and South American countries. ORALPEACE project is a social project in which more than 100 members from various fields, including researchers, health workers, creators, etc. are taking on the challenge to improve the income of persons with disabilities nationwide through businesses. Moreover, purchase of ORALPEACE leads to the creation of work and improvement of income of persons with disabilities. We hope that you can help us as users or supporters. related literature, news, reports, and etc.